Great staff: owners are very nice. 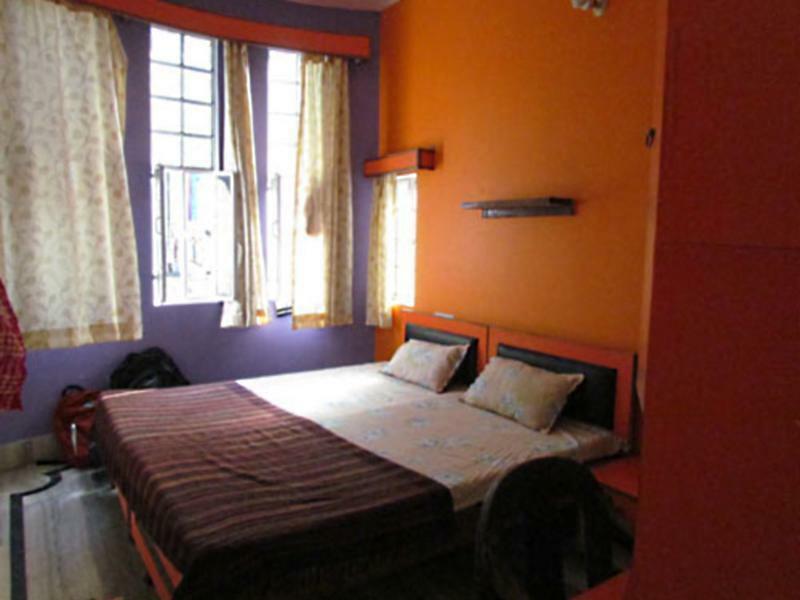 Good location near Assi Ghat and not far from University. Almost quiet street except that that night there were festivals until 23:00 in many places in the city. 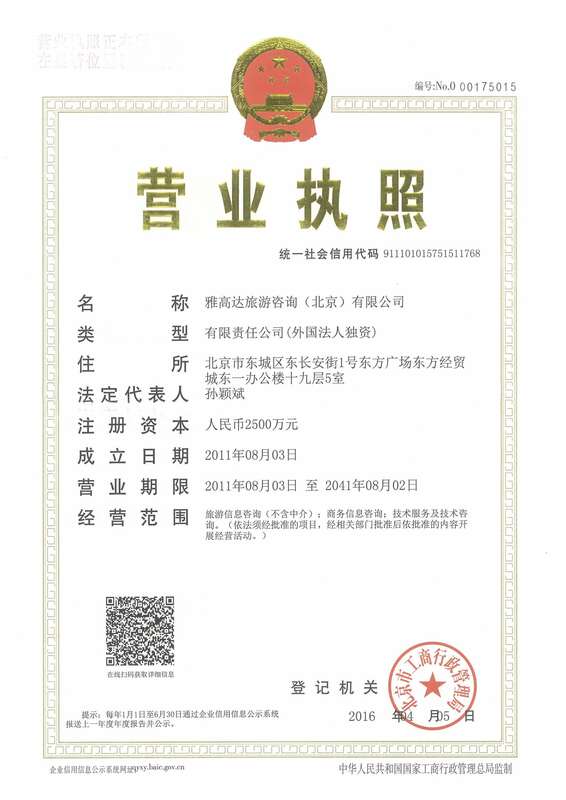 Clean, room and bathroom are correct (we booked double room with ensuite bathroom). Located near Assi Ghat. A little difficult to find from main street. Google maps location is not correct (3 min. walking). The cars CAN get to the door, don't trust taxi drivers if they say it's impossible go there, like mine did :( . Next time I'll hire a transfer. I recommend it with a transfer to get there to avoid taxi scams (as almost every place in India). We had a very pleasant stay at Ishan paying guest house. 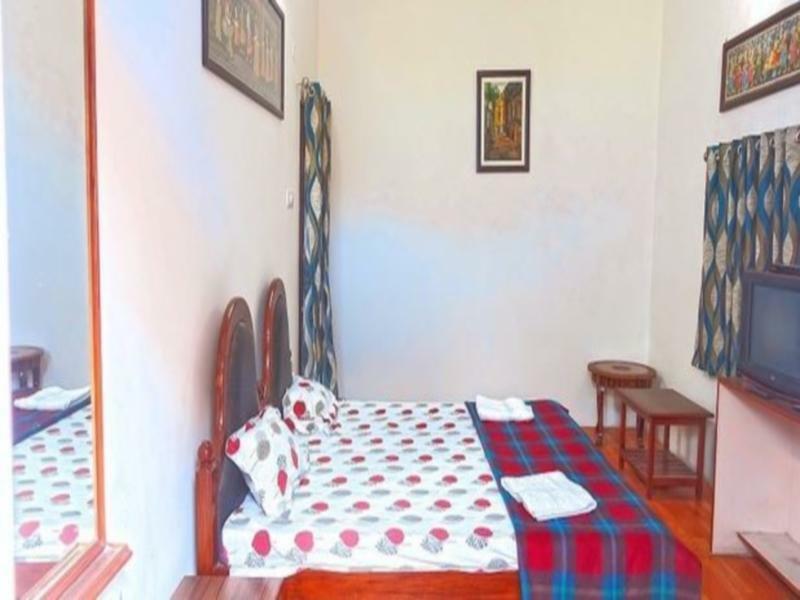 The location is perfect; close to the ghat and far enough of the main street to sleep well. The owner and his family are nice and very helpful. The only thing i can complain about is that the matress was a little hard but still... Orher then that, the room and the shared bathroom was clean. 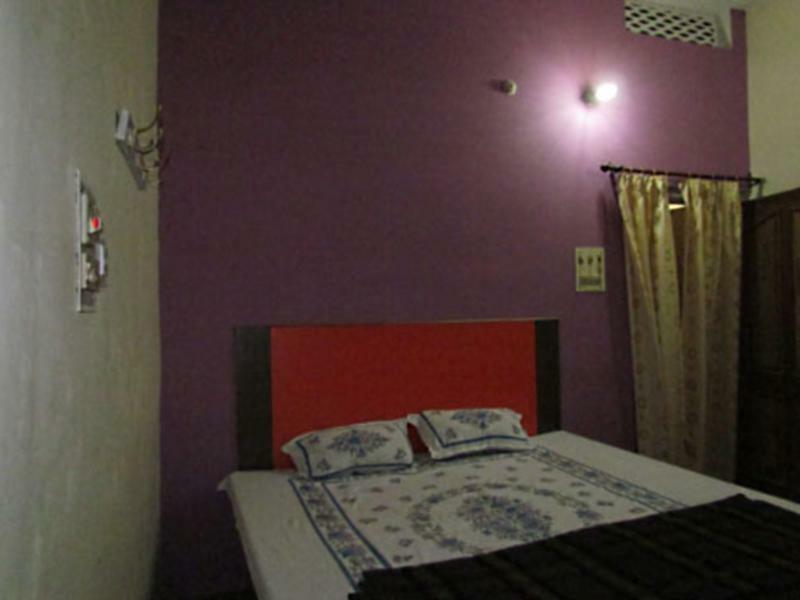 I recommand this place for your stay in Varanasi! We are again reinforcing what other guests said about Ishan GH. Not only the room was super comfy and clean, but Mr. PM is the most hospitable, the kindest and nicest of hosts, so much that we were at the edge of tears when we had to leave... We originally had booked a double room with shared bathroom, and although we liked it, we liked the deluxe room more. PM offered some discount for upgrading, which was really appreciated. The room and bathroom were renovated recently, and both were super clean. The hot water worked flawlessly, and there were small but very appreciated details like free toilet paper, clean towels, a hanger for coats, doormats at the bedroom, bathroom and balcony doors and a wiper for the bathroom floor. When we arrived the first night it was almost 9 and all restaurants in the area close by that time, but PM called the owners of a small cafe who came pick us up and gave us a filling, hygienic and cheap dinner. 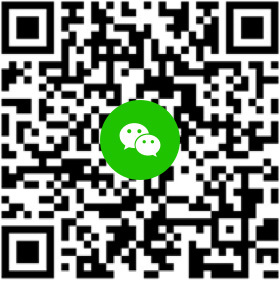 Another amazing fact is that PM actively seeks feedback from his guests to improve his guesthouse; he genuinely cares about his guests and he'll go the extra mile to make you feel comfortable. We booked a boat tour through him that lasted 2,5 hours for an excellent price, as well as train tickets and a tuc tuc for the train station. He was super kind and let us rest in another room when we had to check out while we waited for our late evening train. He is still working on renovating all rooms so we are sure this will become the most sought after guesthouse in Varanasi. PM, we can't thank you enough! Keep up the good work! Good stay, most welcoming guest house I stayed in whilst in India. Very caring and accommodating hosts. Helped me with everything I needed and forewarned me of all the scams which awaited me in Varranasi. Great location in a quiet area near the river. Uncomfortable bc unreliable power thought night. At one point, no AC and no fan. Very hot and humid. Location is also very far from attractions, either expensive to get to where we wanted to go or tuk tuk drivers refused altogether. We stayed for two nights with ishan and his famaly and feld very welcome. Varanasy is a crazy town so its nice to have a place wehre you feel confortable and get a rest. As it was only 13 degrees and cloudy we really appreciated the hot shower. We accidentially booked trough agoda a room with shared bathroom but when we arrived we easily could get an other one. The rooms are simple but clean and with nicely painted walls. We didn't use the rooftop terrace but it would be grate to relax. My stay at the Ishan family guest house was fantastic. The main plus point is the friendly owner he will advise you of all the local sights and customs and is a very nice man. All the staff at the Ishan guest house were great and very friendly. es river The Ishan is located at the Assi Ghat which is 3 mins walk from the holy Ganges river and 10-15 walk from the old city. The area is quit compared to the old city. In reference to the bad reviews on here this is India not Europe the streets are congested and a little dirty but that is what India is all about! 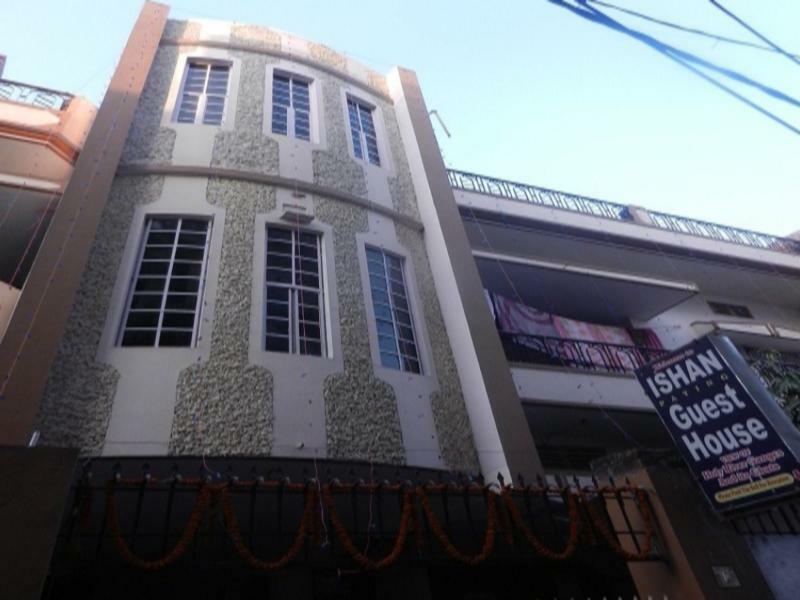 I would not hesitate to stay again or to recommend the Ishan Guest House to anyone looking for good, clean, reasonably priced accommodation in Varanasi. On our first night we were very tired and happy to find this guesthouse tucked away on a street near Assit ghat. The owner and his family were very friendly and immediately showed us to our room which he said was the best in the hotel. It was a good size but the bathroom was small and the bed was hard. The second night there were so many mosquitoes in the room that it made it hard to sleep. We were woken up a few times by their buzzing and got bitten a few times as well. There were also dogs fighting in the middle of the night which was slightly noisy. The hotel looks a bit unfinished which may be why there were so many bugs. We had to leave and spend the third night in a different hotel. Overall a very happy experience. Felt part of the family at Ishan Paying Guest House - would recommend to anyone wanting a quiet retreat from the hassle and hustle of Varanasi. Agreable meme si l accueil est un peu froid a l arrivée, chambre neuve a peine finie ( manque une table et chaises pour poser ses affaires) mais SdB nickel et fontionnelle avec eau chaude! Wifi un peu leger pour se connecter ds la chambre.pour le depart, le proprietaire a ete tres sympa de nous reserver un rickshaw pour la gare avec un tres bon prix " local" .je conseille cette Guest House pour y rester plusieurs jours.un peu difficile a trouver mais proche du dernier ghat au sud. Sin lugar a dudas lo mejor de todo es la ubicación, perfectamente situado para llegar andado a los ghats en cinco minutos, y recorrerlos sin problemas. En cuando a la habitación, hay que tener en cuenta que es una guest house y no un hotel, habitación sencilla y cómoda con A/C, la limpieza, pues como siempre en la India cuando viajas con este presupuesto. Si toca las habitaciones de arriba es incomodo porque tienes que ir con la maleta para arriba y para abajo, pero es lo que hay en las guest house. El dueño es muy muy muy amable, y te ayuda muchísimo con cualquier cosa que necesites. El desayuno muy muy muy básico. Creo que es una buena opción si viajas con presupuesto ajustado, recibes lo que pagas. Económico, como en casa, gente amable. Los dueños son encantadores y siempre te quieren echar una mano en todo. Es muy económico, las habitaciones están bien para lo que es la India. Eso sí, no hay vistas al Ganges. Siamo arrivati in un momento delicato per la famiglia che gestisce la gest house ma nonostante questo ci hanno accolto in maniera calorosa. La camera era abbastanza grande e dotata di finestra, il bagno poco pulito. La posizione tranquilla e defilata. Tutto sommato ci siamo trovati bene. Il proprietario molto cortese. Хороший отель за адекватную цену: есть москитные сетки, можно повесить свой замок, в номере есть бойлер (а значит всегда есть горячая вода), есть интернет. Все нужды европейца удовлетворены :) Из минусов - расположение немного вдали от центра, нужен рикша.